Like in any other school, there were two types of students in Sainik school while we studied there, and am sure will be, for ever – weak students and bright students. The system in vogue in school then ensured that both categories of students would get rewarded after the exams. While the bright students were given away certificates of distinctions the weak students were send for afternoon extra classes by NBN Sir. NBN Sir ( N Balakrishnan Nair ) was as passionate about teaching as he was regarding all matters related to school and its OBA Reunion days. Therefore he dedicated himself totally to this particular assignment of enhancing the threshold knowledge level of weak students which he had voluntarily undertaken with the same fierce passion and he carried it out with elan. But as a proud member of the members of weak student brigade, I remember sitting through the class impatiently waiting for the walk back from the academic complex after the extra class. The walk back procession would pace through the black tarred road alongside the parade ground as a pack of mesmerized children bunched up around a man of feeble frame but with a caring disposition radiating a welcoming and harmless innocent smile. 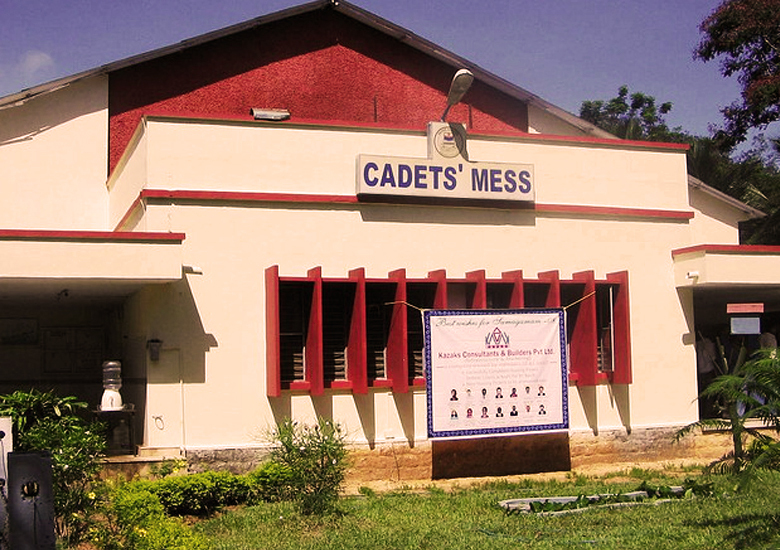 The road descended down alongside the parade ground like a welcome carpet and reached till cadets’ mess where the entire entourage would dissolve on the signal from NBN Sir and would head for cadet’s mess for their evening tea and snacks. While leading the procession, NBN Sir would recount with excitement, anecdotes regarding the alma matter and its alumni as the Losers; Brigade filed away each syllable for posterity. The procession moved like an amoeba. All the while the boys who get pushed to the side lines of the gathering would quickly take a few steps forward placing them ahead of the crowd and firmly staying put in the middle of the road positioning them there with calculated precision such that the approaching crowd would wedge against them and thus the ones who are positioned on either side of NBN Sir would get displaced and replaced by the new ones waiting in the middle of the road while the procession moves on unhindered repeating this phenomenon of displacement and replacement, executed in all permutations and combinations all along. With the passage of these many decades I can barely recall a word of academics that he taught us so passionately, but for this one golden message that he inadvertently conveyed to us, which is gaining more girth and mass around it as time goes by. He said, “No matter whether you are weak or sharp, bright or plain, talented or ordinary, a winner or a loser in the eyes of the world, this school belongs to you, this is your school and your are an integral part of it as much as all those military leaders, national heroes, successful bureaucrats, acclaimed artists, mass leaders, leading professionals, corporate honchos and enterprising businessmen who passed through its gates into a life of greatness and fame. Be this as it may, NBN Sir was also one of the most mischievous, and his knack for practical jokes also revealed his more likable humor side ,which placed him in a high pedestal of reverence which his legend now adorns. He once manufactured a compound in the chemistry lab, a dash of it on the floor radiated so much stink that it got the entire Kazhakians bunching around it with sealed nostrils. He let the gathered crowd to wash it off with water and alas the stink grows intense and spreads more with each bucket of water. It aroused so much curiosity in students that they carried it to their houses and tried it on each others. This started the most infectious and intensive Holi that we ever celebrated. Cadets would run around the school, hide in the available nook and corners of its vast realty, even cross its boundary into Chandavila to escape the Holi party chasing them with the chemical. The stink would increase in degree with each bath and lingered on for a couple of days before subsequently fading to zilch. You see, he passionately believed that there are no problems that stems from within the school which cannot be addressed from within. He had faith in the tradition and heritage of the school and the strength entrenched in it. And it was not for nothing that the students admirably coined a chemical name for NBN Sir – Simple humble tetra tender penta peroxide , which while bringing out the admiration that student had towards him also reflected a infectious humor that lay hidden under those heavy framed spectacles. 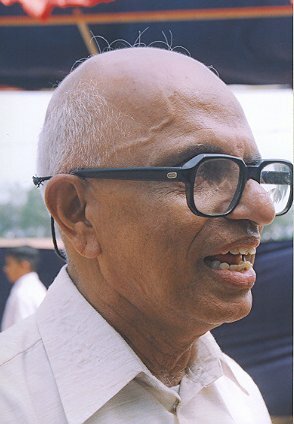 And on Teachers Day, here is remembering you Sir, and the others, who have always keep us inspired. Here is the classic To Sir, with Love. ← Remembering Mr PCN | Tom Dooley, Wayward Wind and Tharian. we were blessed to have the kind of dedicated teachers that we had. For those like me who cannot follow the lyrics fully at the first hearing..the lyrics… so beautiful and touching.